Congrats to our undergrads who participated and won big at the SOUSCC! 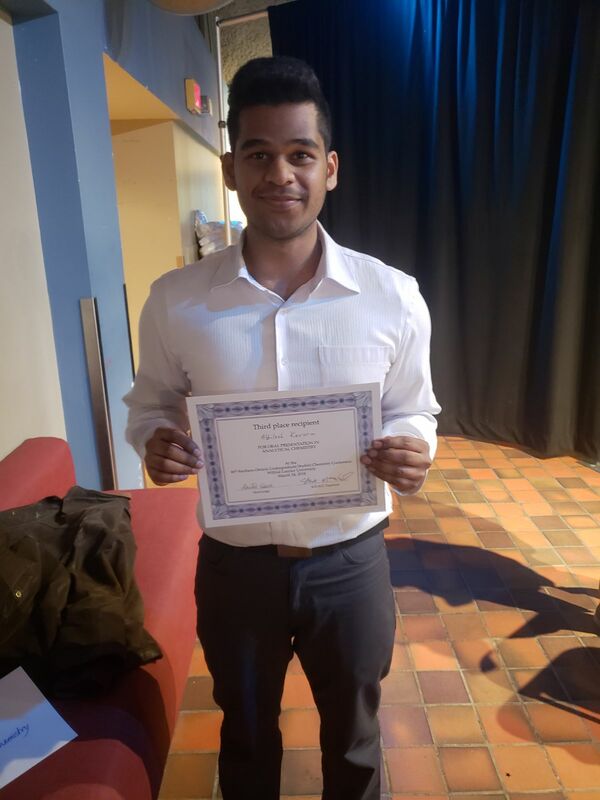 Abhilash received the 3rd place award in the analytical chemistry section. Elida also received an honourable mention in her group. Congrats for a job well done!